I called this post Books, New Releases 2 because there is already another post of mine with title Books, New Releases. New books to look out for in 2014, some are already published, some will be out soon. Readers really like it on Goodreads doing well on Amazon too. Perhaps, not yet as good as his memoir. All the same I look for to setting my hands on it. A young woman runs into the sea and drowns. The last man who spoke to her, the curious individual known as Bukuru, is asked to account for the suicide. His shocking revelations land him in court. Alone and undefended, Bukuru has to calculate the cost of silence in the face of stories which must be told. Though, I have not had the opportunity to lay my hands on it. And he's published his second novel "Foreign Gods INC" very well rated on Goodreads and Amazon too. Click here to visit his official website. I look forward to reading his books. Before he can retire, Las Vegas detective Salazar is determined to solve a recent spate of murders. When he encounters a pair of conjoined twins with a container of blood near their car, he’s sure he has apprehended the killers, and enlists the help of Dr. Sunil Singh, a South African transplant who specializes in the study of psychopaths. As Sunil tries to crack the twins, the implications of his research grow darker. Haunted by his betrayal of loved ones back home during apartheid, he seeks solace in the love of Asia, a prostitute with hopes of escaping that life. But Sunil’s own troubled past is fast on his heels in the form of a would-be assassin. 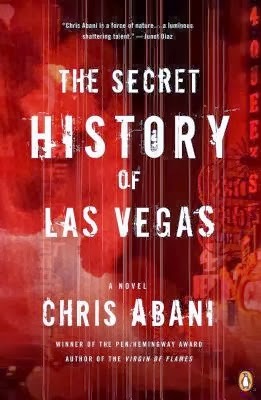 Suspenseful through the last page, The Secret History of Las Vegas is Chris Abani’s most accomplished work to date, with his trademark visionary prose and a striking compassion for the inner lives of outsiders. His only novel I have read so far is "GraceLand" which I really enjoyed. His latest novel is very well rated on Goodreads and Amazon. I also look forward to reading it. Click here to visit his official website. Click here to see and hear him talking on Ted about " Telling stories from Africa" and here "On humanity". Above is a new novel by Ben Hinson, an author of Ghanaian/Nigerian descent, based in New York City. He's been working on this project for the past 5 years. A gritty piece of literary/historical fiction based on mercenary activity in Africa, Asia, the United States and England during the Cold War era and the 1990s. Which will be available later this year (2014). Please click here for more info. What about you? 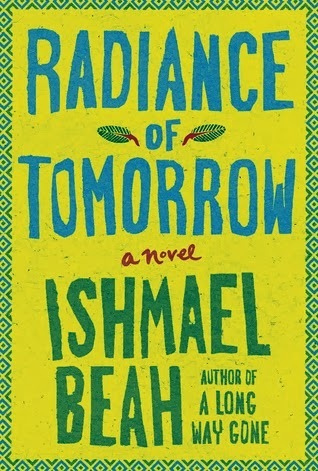 Do you look forward to reading any new books published this year? Mary, I would like to read "Dust" by Yvonne Adhiambo Owuor. Hmmmm that title rings a bell. I look forward to reading your opinion on it. 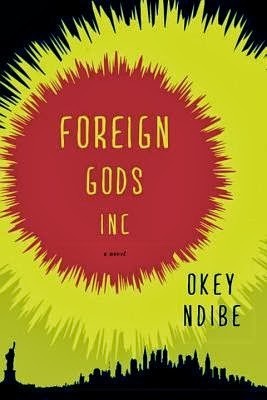 I'm going to Okey Ndibe's author event on Saturday! I wasn't familiar with him until I discovered "Foreign Gods" on Goodreads. A Long Way Gone has been on my shelf for toooo long. I need to bump it to a 2014 priority. You should not postpone it any more. That is one enjoyable... thought-provoking read on your shelf. And please blog about Ndibe's event plsssss. It's always interesting to read new books, though they are always difficult to come by. That's true. I suppose the libraries should have some copies. Hey Didi, wow.. white authors writing about the black experience. Could be interesting. I look forward to seeing it. I am actually subscribed to your blog. Yeah... Chris Abani is one talented writer. I'm looking forward to laying my hands on Chika Unigwe's Night Dancer, Achebe's Memoir: There Was a Country, Ngugi's The House Interpreter...quite many others too which would take up more space. But i like your recommendations, i will try and add your reading list to mine. Sebeenah welcome here. First time reading from you. I have not read these particular books you mentioned, though, I am aware of their existence and have also read works from the authors. The books mentioned here seem to be very promising. So, I too have addes them to my TBR.